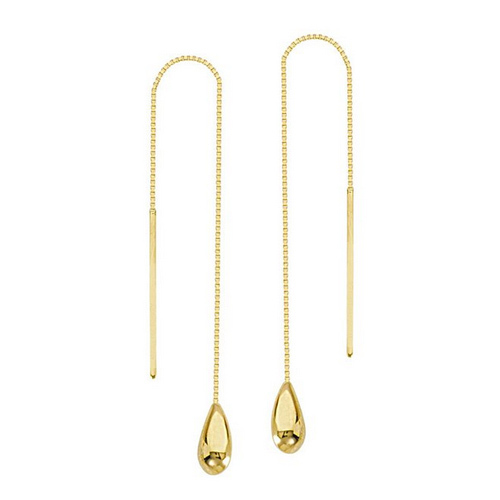 14kt yellow gold threader box chain earrings feature tear drop shaped charms at the bottom. High polish finish. Charm dimensions: 1/4in x 1/8in. Total earring length: 4 1/2in. Weight: 1.0 gram. Import.